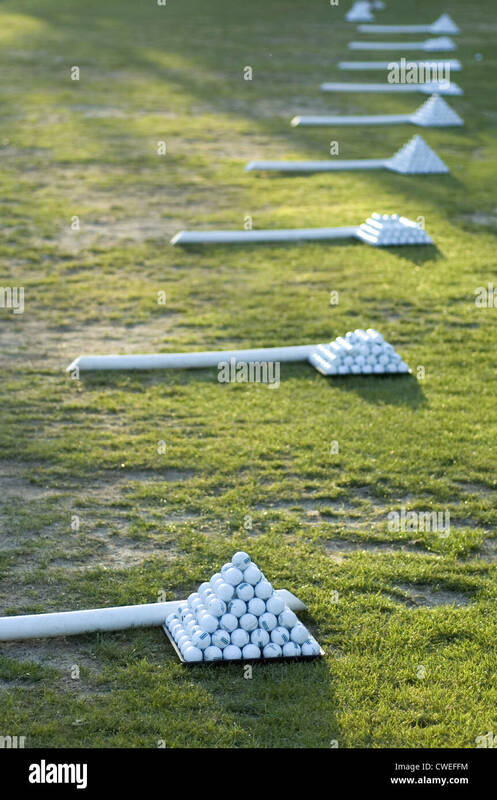 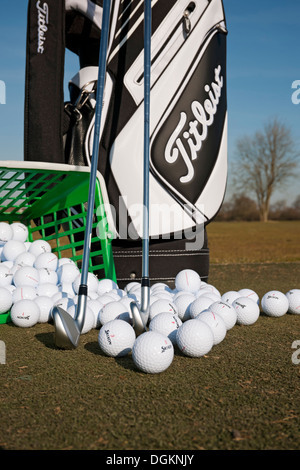 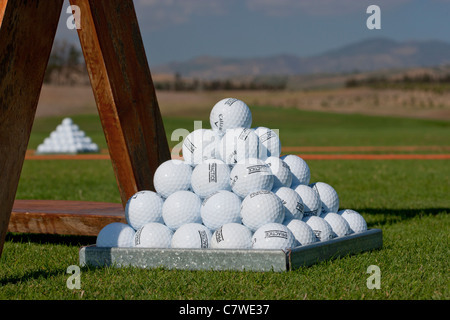 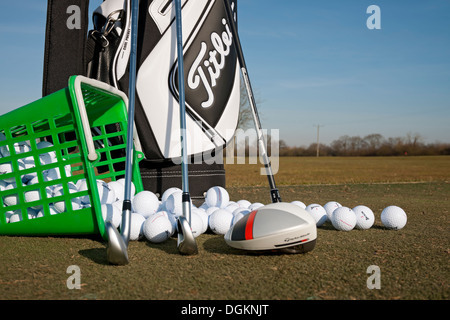 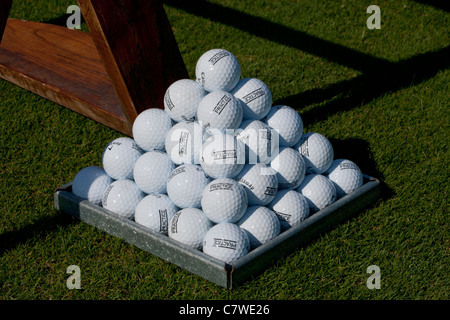 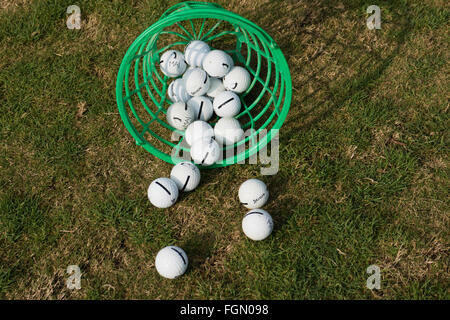 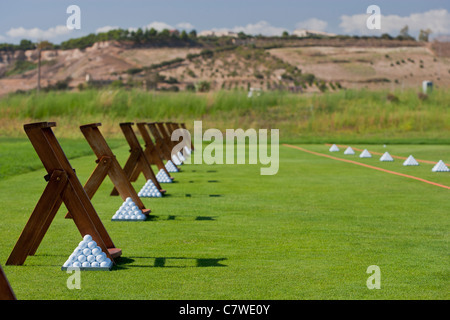 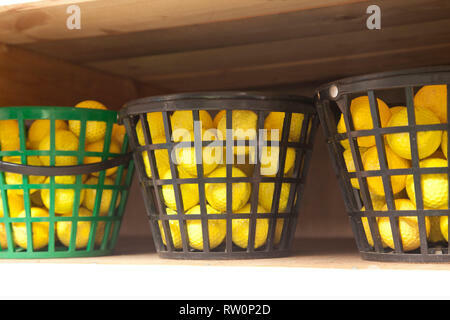 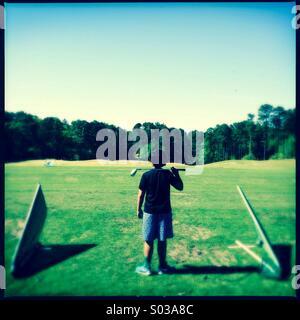 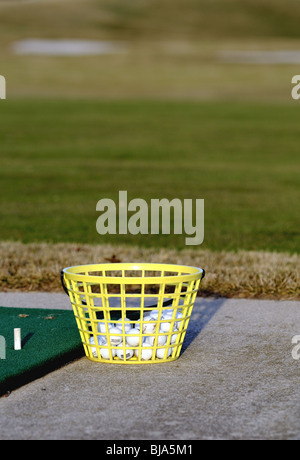 Balls tumbled from basket on driving range of golf club. 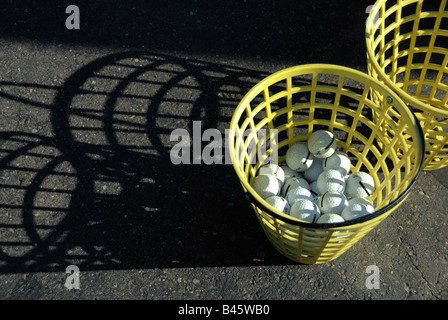 A bucket of golf balls at a golf driving range casts interesting shadows in the midday sun. 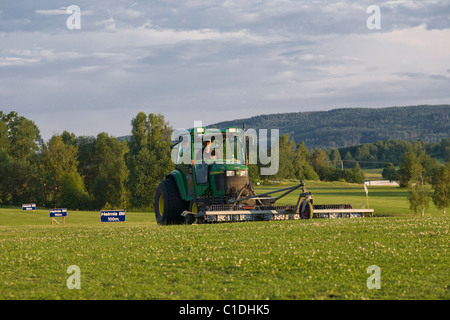 Tractor gathering golf balls at a driving range at the end of the day in Varmland, Sweden.